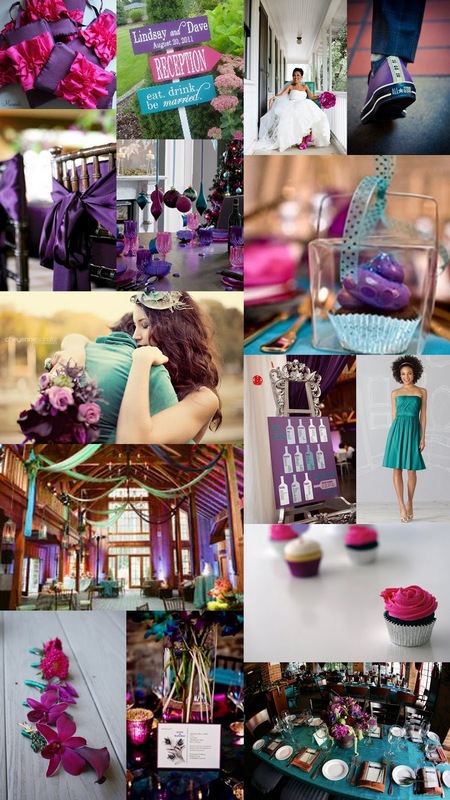 Today's color board was made for our friend, and bride to be, Val. Over the weekend Jen was able to catch up with Val and of course she had to ask what her wedding colors would be. Although Val didn't seem totally sure on this kind of modern jewel tone/semi-peacock color combination, we love it and think these vibrant colors really represent her energetic, fun-loving personality well. So, Val, this one's for you! We hope it helps to ease your wedding stress and to get you revved up for all the fun planning you have coming your way!